Gain Yoga develops the appropriate practices to achieve any level of fitness and guides the Yoga lovers through progressive pose sequences and with HD images and real human voice. It is suggested to take an exploratory journey through warming yoga poses, apex poses and /or meditative finish, with equal parts mindfully relaxing and body improvement. Practice Mode – A real life like guided-yoga experience, taking you through your practice sessions as though you are in a yoga studio. You may hear postural alignment tips with breathing cues, giving you through poses, transitions and ending your practice with a guided meditation. Custom Workouts: This practice session, algorithmically, is tailored to your required fitness level, goal and schedule as no other app provides you this level of personalization. Gain Plan: This intelligent practicing calendar enables you to set your own yet required perfect workout schedule so that you may stick to it. This is configured with timed workout reminders, smart re-scheduling options and the motivating workout streaks. But this is a premium feature. Expansion Packs: When you are in ready state, the built-in upgrades will evolve your yoga practices with more targeted and challenging poses. So, never get bored again and continue to monitor your progress. 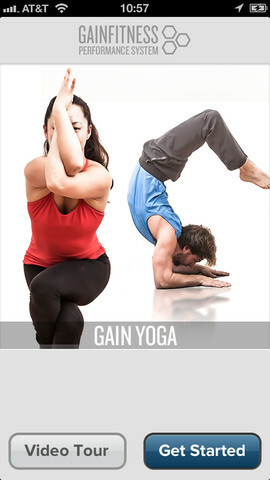 As this app is completely configured with a soothing background musical soundtrack, Gain Yoga invites you into a brand new system for exploring the physical and mental benefits of yoga which will be seamlessly integrated into the nooks and crannies of your busy lifestyle. This app is also optimized for iPhone 5. Older How to Sleep Better with White Noise App in Android?